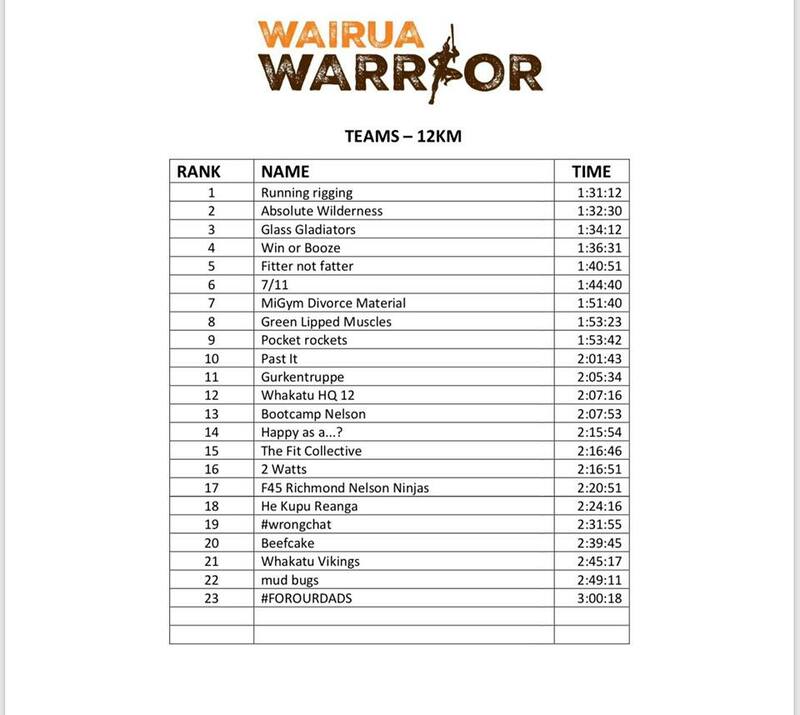 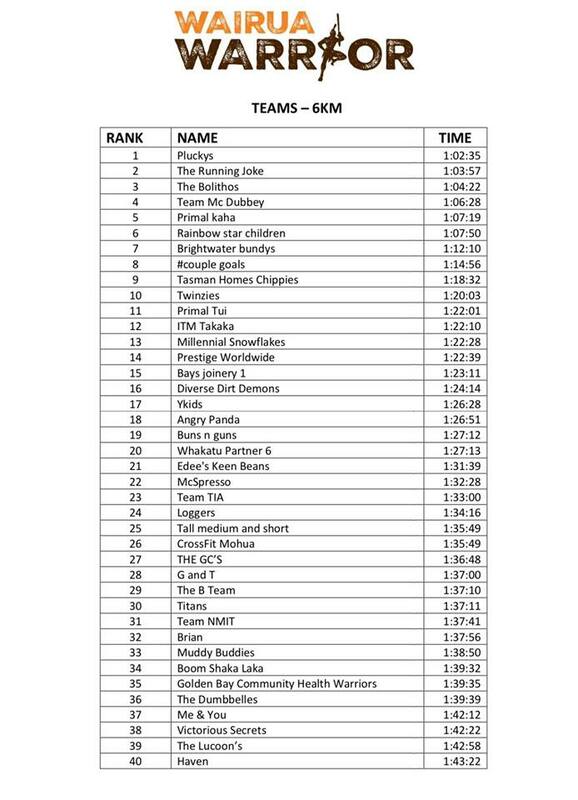 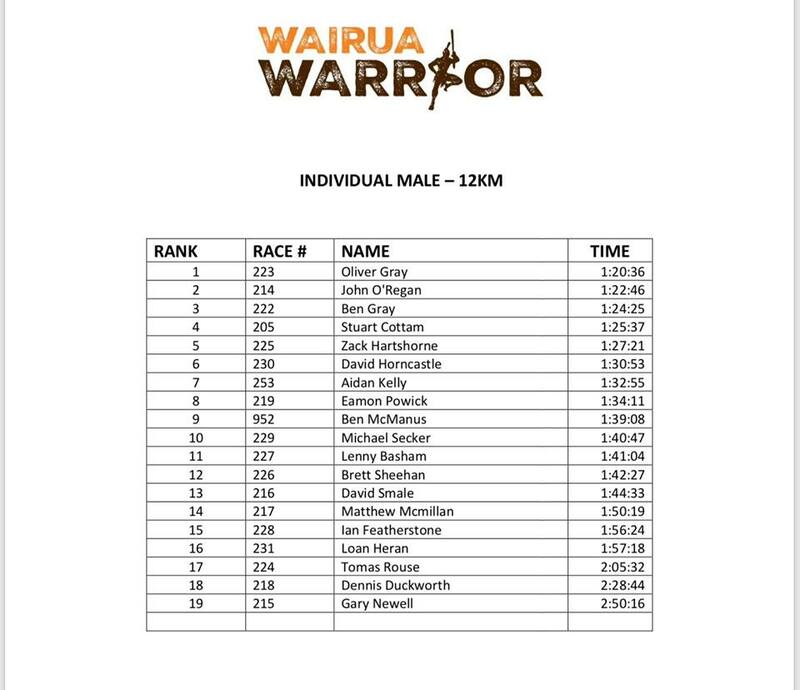 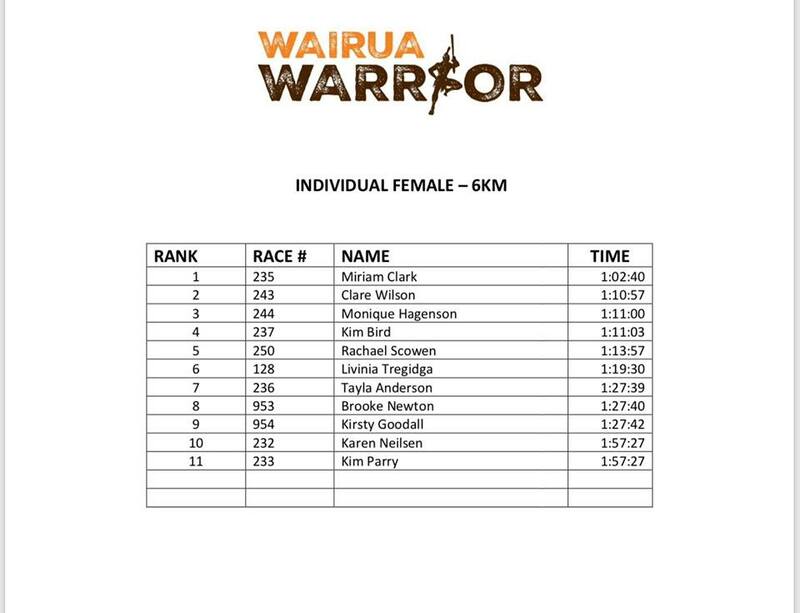 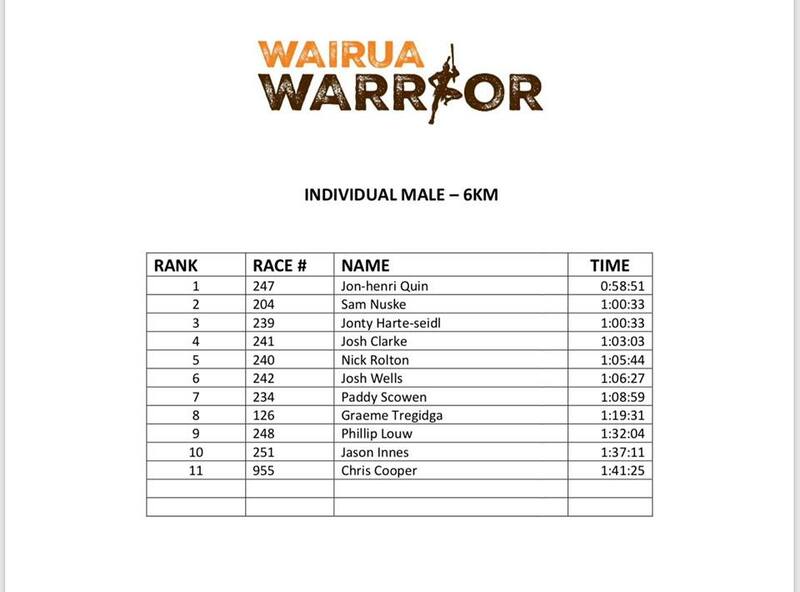 The results from “NZ’s premier obstacle race”, the Wairua Warrior, are in! 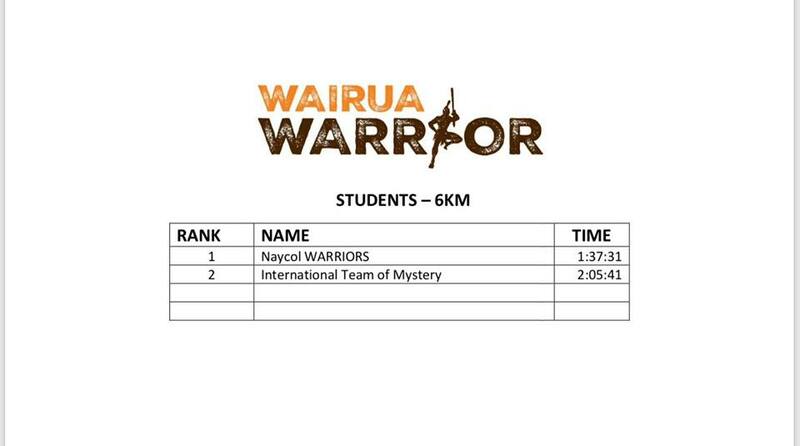 A massive congratulations to all those who participated! 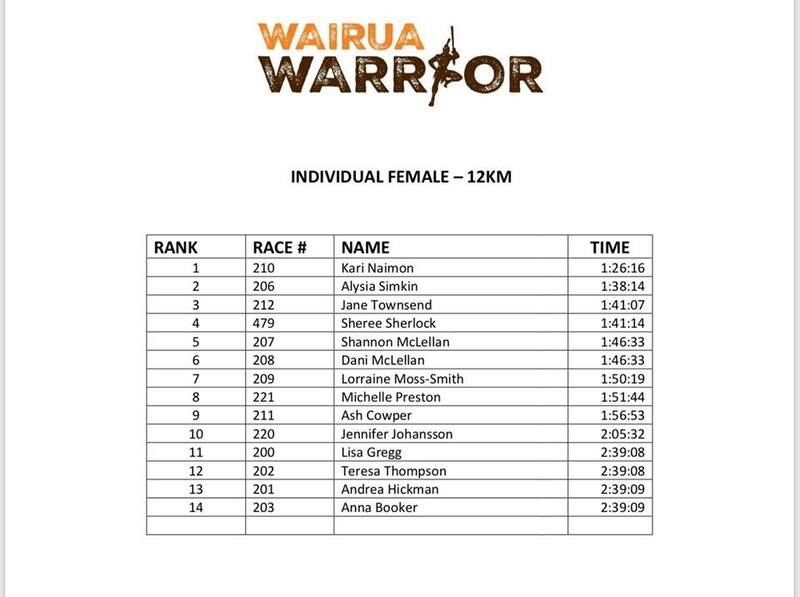 The Wairua Warrior was held at Cable Bay Adventure Park, Nelson with beautiful undulating terrain and 30+ obstacles ranging from balance beams to monkey bars, sand bag carries, climbing walls and tyre drags. 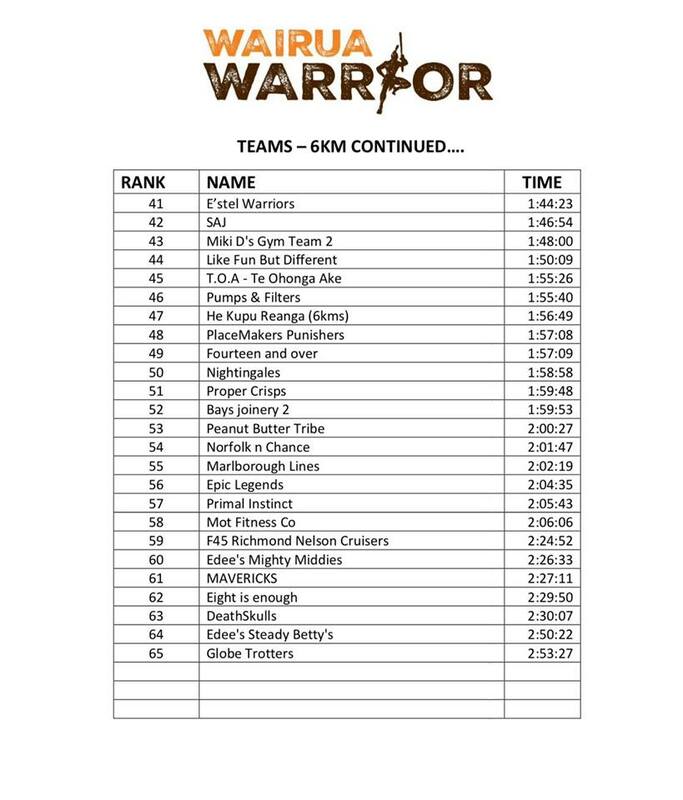 The top runners in each elite division qualified for the OCR World Championships in London, England, and the OCR Enduro World Championships in Sydney, Australia.